← This Week in Sports Episode 12 – NFL Draft Recap/NHL Double Standards? Warlock Wednesday’s Episode 180 – Civil War Rages On! 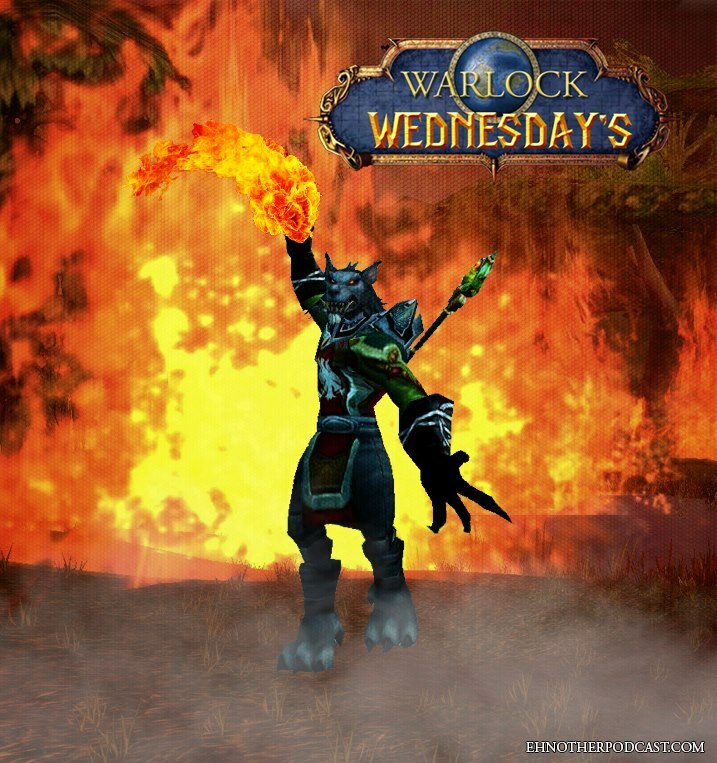 Ehnother Podcast presents Warlock Wednesday Episode #180! This week’s show is as concise a show as you will get to sum up the week that was in the world of Entertainment. No deaths or rants really this week, but there could maybe have been a bit of an “I informed you thusly” segment, but I am trying not to be “That Guy” anymore. Not sure how it comes across, but hey, just trying to give my point of view of all things entertainment related. Casting had to be the biggest segment this week, but you will also find quite a bit of info on the Fox X-Men Universe side of things. Plus: Comic Book Releases; Box Office Reports; New Movie Releases; Entertainment News and Super Hero Movie Time. All of this wrapped up into an hour long show. Enjoy. This entry was posted in Warlock Wednesdays and tagged #CanadianSmodcast, 20th Century Fox Television, Above Suspicion, Action Comics #52, Adam McKay, Agents of S.H.I.E.L.D. #5, alan tudyk, Alden Ehrenreich, Alexandre Desplat, All New All Different Avengers #9, All New X-Men #9, Andre Roussimoff, Andre the Giant, Andre the Giant Biopic, Andrew Garfield, Angry Birds, Anthoney Russo, Arnold Schwarzenegger, Assassin's Creed #8, Ava DuVernay, Avengers: Infinity War, Batman #52, Batman Teenage Mutant Ninja Turtles #6, Batman: The Killing Joke, Black Widow, Box Office Reports, Cabin Fever, Canadian Smodcast, Captain America: Civil War, Castle, Catwoman #52, Charlize Theron, Cobie Smulders, comic book releases, comic books, comics, comics north, Comics North Sudbury, Con Man, Constantine The Hellblazer #12, DC, DC Comics, Deadpool #11, Diablo Cody, Doctor Who the 12th Doctor Year Two #5, Elise Neal, Elizabeth Debicki, Emilia Clarke, entertainment, Eriq La Salle, God Particle, GoFundMe, Green Room, Grimm Fairy Tales #122, Guardians of the Galaxy #8, Guillermo Del Toro, Han Solo Stars Wars, Harley Quinn and Her Gang of Harley's #2, High Rise, Hollywood Babble On, Idris Elba, IDW Entertainment, Image Comics, Intelligent Life, Interview with the Vampire, Ireland Release Dates, Irredeemable, Jack Huston, James Bobin, Jason Reitman, jessica chastain, Joe Hill, Joe Russo, John williams, Josh Boone, keanu, Kevin Feige, Kevin Smith, Krypton, Locke & Key, Marvel, Marvel Cinematic Universe, Marvel Comics, Marvel Studios, Melissa Benoist, MIB 23, Michael Shannon, Molly's Game, Money Monster, mother's day, Movies, Nathan Fillion, New Mutants, North American Release Dates, Patrick Doyle, Patriot's Day, personal views, Ralph Garman, Rumor, Rumors, Russell Crowe, Russo Brothers, seth macfarlane, Sharon Stone, Simon Kinberg, Spartan Helmets, Star Trek #57, Star Wars: Episode VIII, Starfire #12, Sudbury Spartans, Sudbury Spartans Football Club, Syfy, Taran Killam, Teenage Mutant Ninja Turtles #58, Television, The Darkness, The Huntsman: Winter's War, The Jungle Book (2016), The Lobster, the mummy, The Mummy Reboot, The Shape of Water, The Trust, Titan Comics, Tully, Uncanny Inhumans #8, Under the Silver Lake, Universal Monster Univrse, Whiskey Tango Foxtrot, Why We're Killin Gunther, Wolverine #3, Zenescope Entertainment. Bookmark the permalink.